Berlin's healthcare system is anchored on the government of Germany's national policy implemented under two schemes: public and private insurance. Either way, everyone is obliged to be insured regardless of income. Thus, expatriates take full advantage of this policy. All full-time employees are automatically covered by the national government's public health insurance scheme under which contributions are split equally between the employer and the employee. This coverage applies regardless of income, but those who earn over 4,050 Euros gross per month have the option to switch to a private health policy. Under the public scheme, contributions provide cover for the aged or those with a disability as well as for the care of employees' dependents who will be receiving the same benefits as the principal member. On the other hand, Berlin's private health insurance industry also provides various options which will not be very different in structure compared to the public healthcare system. When an employee obtains private insurance, their employers will still be contributing to the premiums. Those who remain covered by the national system need not pay for any medical expenses while those on private policies will usually have to pay through bank transfers and claim reimbursements later by the insurance company. Not all types of treatments, however, are covered by the public or private health system. For example, hospital confinement, though free, will still require a small co-payment fee. 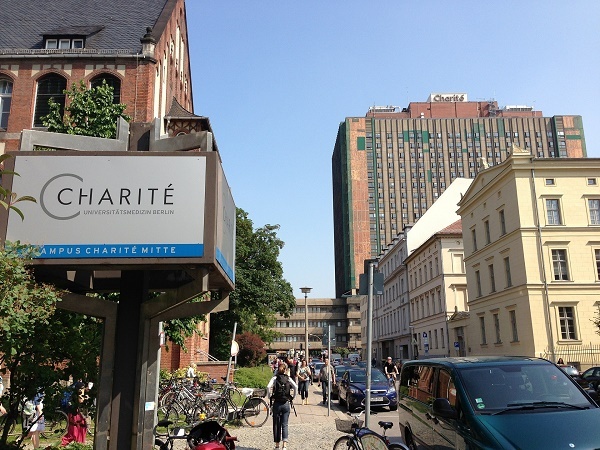 For those who have remained under the national health plan in Berlin, consulting a doctor requires checking whether or not this doctor treats patients under the public scheme. There is also a non-refundable fee of 10 Euros for the consultation. Those who will be needing hospital confinement are usually referred by a physician to a hospital; but for emergency cases, one may go directly to a government or government-recognized hospital which will then contact the Krankenkasse, Germany's public healthcare administrating office, to confirm the projected expenses. One will have to pay a fixed charge of 10 Euros per day which is allowed for a maximum of twenty-eight days annually, with the exception of patients below eighteen years old. Expatriates who have foreign insurance may not be able to make any use of such a health policy in Berlin as Germany's healthcare system does not recognise coverage obtained from other countries. Employers are also not obliged to pay a share of the foreign insurance premiums. Hence, expats are always better off availing of the public health system to avoid legal conflicts. For medical and other types of emergencies, the number to dial in Berlin is 112 which can also be used anywhere in Europe.